This week was all about my favorite book of 2009 - Willow by Julia Hoban! Check out my review for Willow. I also posted about Leave A Mark book auctions that will start up again this August. You can win "marked up" books and all the money goes to charity! Go HERE to find out more and then check out the excerpts from Willow with Julia's notes HERE and part two HERE. Last but not least I have an interview with Julia Hoban ! TWITTER contest! I'm giving away a copy of either The Blind Side OR New Moon (your choice). Tweet me @teamsheltie if you want to win . US only and you must follow me on twitter! I'll pick a random winner sometime Sunday. 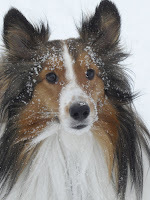 This week's pet is "Jasper" - a sheltie..... just like my guys! If you want to see a picture of your pet up here send it to me - fwiw(dot)kea(at)gmail(dot)com. It can be a dog/cat/fish....whatever! 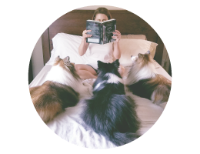 Speaking of pictures of pets.............my pick for the blog spotlight this week is The Book Scout . A blog that reviews YA books. And now through 4/24/10 she is having a contest where you have to match up YA authors names with the photos of their pet! The person with the most correct matches wins books and swag...sounds fun! She also has books for trade so go check it out! Contest! Mara Purnhagen is giving away a signed copy of her debut novel Tagged! * Mara will also be doing a guest blog here so check back for that! I had company all week and I didn't get much reading done so I hope to catch up and get some reviews written! 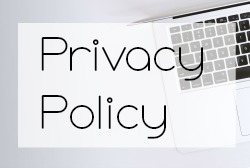 I'm also hoping to do a little bit of redesigning of the blog so excuse my dust if things look different....and then different again....feel free to comment to if you like (or dislike) something! I see you like Willow :) ... I ordered it a few days ago and can't wait for it to arrive, so I can get reading! Hope you like Willow - yes....I'm a little obsessed :-)Let me know what you think after you read it. Thanks for putting him up. I'm off of Twitter for awhile. Got a virus there and am not reluctant to start again. :( I'll let you know if I go back on. Send in the pictures of chubby kitty and beagle! !